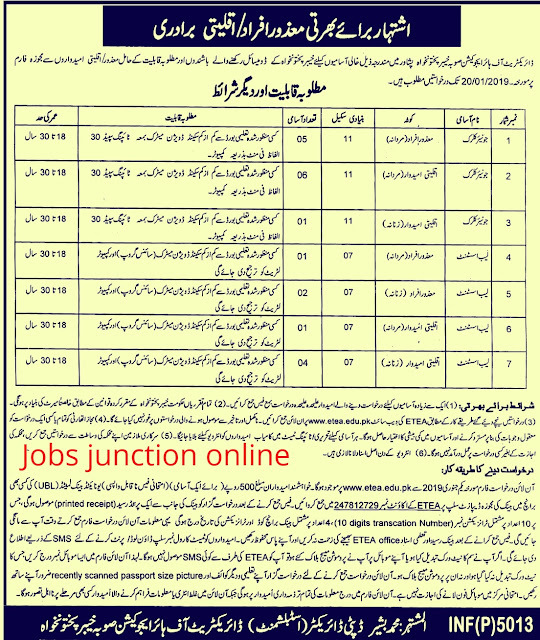 Many good jobs have been announced in the Khyber Pakhtunkhwa by Higher Education Department.In the job of Higher Education Department, people with disability can apply and minority communities can also apply for this job.I am giving you full information about Higher Education Department KPK ETEA jobs 2019 in this article.Your Education Matric must be a Second Division to apply for this job.You must be 18 years to be thirty years to apply for the Higher Education Department's KPK ETEA job.This job will get the basic scale Bps 11 and Bps 07.If you want to ask something about the Higher Education Department KPK ETEA job 2019, you can make comments at the bottom of the article.In both Higher Education Department KPK jobs, both boys and girls can apply. You can do this job in Peshawar. 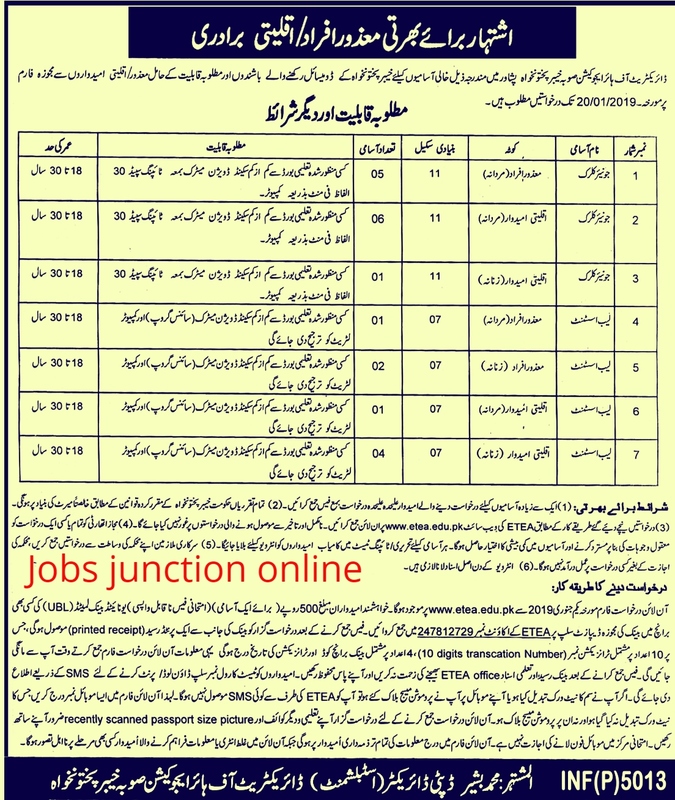 You must have your Education Matric with 2nd division to apply for this job and the computer skills will be given the most priority. Those people who want to apply for this job, have registered 500 rupees in visit any UBL Branch & Deposit on this account number 247812729.